I nearly turned back when I realized I forgot my sunglasses, then when I saw I was low on gas, then when I saw the river was packed with anglers. But I kept driving. I drove until I saw no one, then I drove another mile. This is my favorite time to fish. Late summer, early fall. After Labor Day, before Halloween. Just when it’s getting cooler, but far from cold. I put in downstream from a beaver pond that didn’t exist a month ago. The cows had done their best to rid the hills of vegetation, but the grass that was left appeared golden. 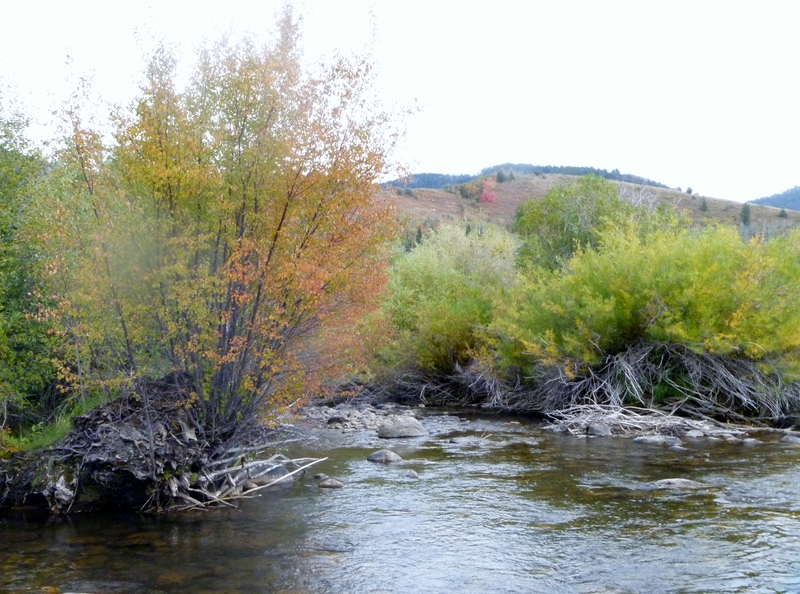 Willows and scrub oaks guarded the river on both sides. Everything smelled dusty. There wasn’t a visible hatch, but the water rippled with takes. Around this time, it seems that fish feel some desperation. Within a few casts, I had my first fish. A small cutthroat who’s cuts glowed hunter orange. The cutties seemed to have brightened up like the scrub oak that lines the river. The fish appeared shiftless, too, especially the young ones. They dart from hole to hole and used much more energy than needed to take bugs off the surface. My next fish came out of the water for my Adams. His mouth anchored to the fly, and his tail wheeled around like the hands of a clock and splashed into the still water. I’ve had days when I couldn’t keep little brookies off the hook, and, once, a day when I couldn’t keep off little browns. This was the first time that I couldn’t keep off cutts. The other days didn’t feel that satisfying. But the cutthroat day? It was the best fishing I had all year. 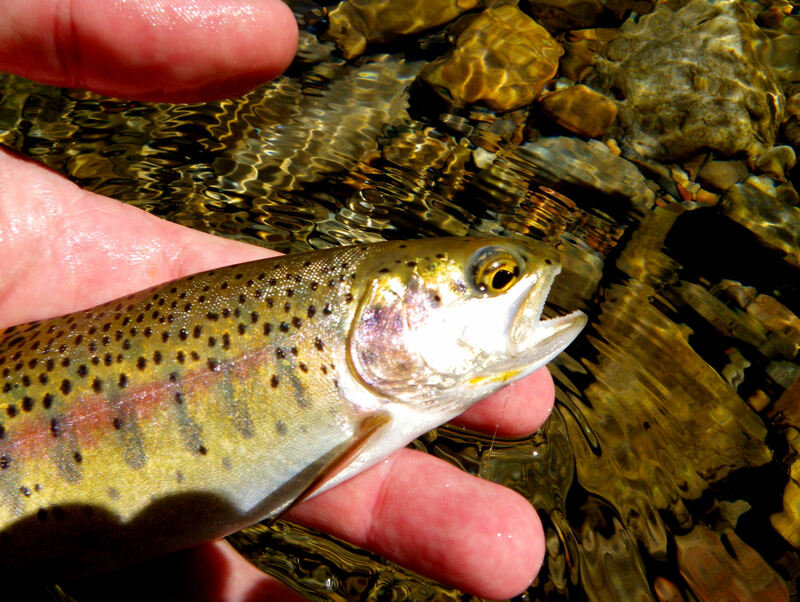 It’s because I like cutthroats the best. Partly because they’re native. The ancestors of the fish I caught were here long before my ancestors, and I don’t mean my great-great grandpa, or even white guys. I mean humans. More than that, they’re just my favorite. Rainbows remind me of the Californians that came into my hometown and bought up land where I once moved irrigation pipes in alfalfa fields. They built garish mansions decorated with stuff from LL Bean and Pottery Barn. They’re charming and nice–you almost believe they belong. You can trace your finger on the maps on the backs of brookies and they somehow lead you east. I imagine even their kids talk with Boston accents even though they’ve been west for generations. The browns clog the once quiet trails with their ATVs. As they fly by in a cloud of dust, they throw off Mountain Dew cans and cigarette boxes. But not cutthroats. They’re a handsome fish, with their almost bronze coloring and muddy splotches. They’re just good folk with clean, calloused hands. If a cutthroat was to date your daughter, he’d have her home on time and call you sir or ma’am. On the way home, I pulled over and watched three older anglers wet wade. They held onto each others shoulders for stability. Their rods moved back and forth slowly. Their loops unfolded like quilts being shook out for summer storage. I waited for one of them to catch a fish, but it didn’t happen. Well, gentle bloggers, we’ve reached the end of Every Day in May. It’s been a swell ride. I’m deeply impressed by your blogging skills. Hopefully, this little challenge has been worth it to you. 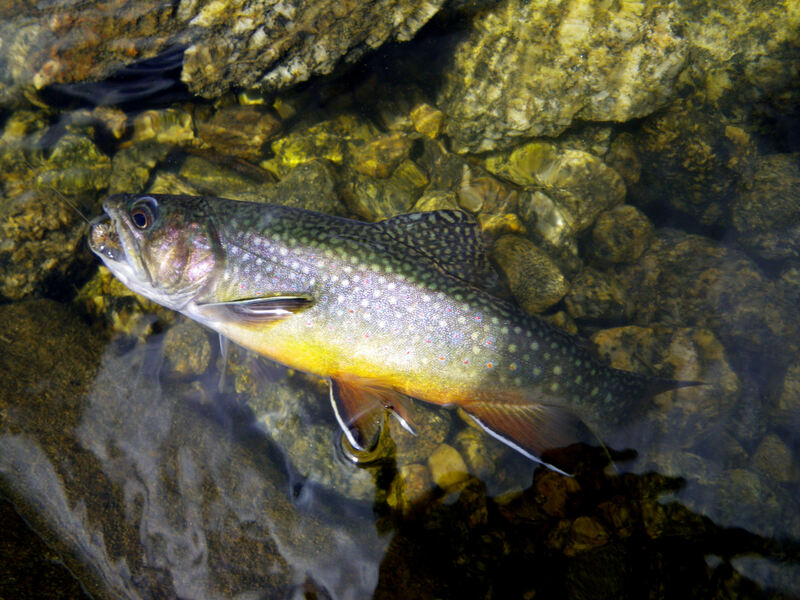 Here at How Small A Trout we’ve made lots of virtual fishing pals, found new readers, and generally learned our way around our own blog, not to mention our own heads. I think our blog is better for having posted every day, even though we plan to return to a more, well, healthy blogging frequency. Meantime, for the next few days, I plan to ignore this blog as though it were a difficult whiny girlfriend who also happens to be a telemarketer. I recommend you do the same, but please come back soon. We’ve been planning to re-post this for a while–our very first essay, written by Russ. We have posted a ton of stories and essays and thoughts since this first one, some of which I think are pretty good and a few of which I think are really good. However, I feel like we’ve yet to best this one. This essay sort of captures the way Russ and I approach fishing and in fact it says something about how we blog. I hope you’re seeing it for the first time–it’s a great little read. Please let Russ know if you feel the same. As we crossed into Montana, I saw two things: a school-bus graveyard and lots of fishable water. Granted I had traveled next to the Snake River in Idaho, but Montana’s water seemed like my kind of water. Bendy and shallow. I traveled to Missoula for an academic conference. Kacy, my wife and our two-month-old, Henrietta came to visit my wife’s sister, Nikki. While I listened to essays presented on authors I had never read, I thought about that water. The conference center overlooked the Clark Fork River, which is where I took breaks, breaks much longer than I needed. I had been to Missoula before, but had never fished there. In the car, buried beneath a pack-n-play, a stroller and a humidifier was my rod. I had tried to resist, but in the weeks prior to the trip, I looked up Missoula fishing reports. They had photos of wiry men in baseball caps holding trout with two hands. Their faces smiled, but their teeth were grit, making the trout look heavy. I asked my brother-in-law, Ryan, to find me “a creek, preferably on private property, teeming with trout.” What he gave me was the Bitterroot. There wasn’t a good way to slip out on my own, so we all went—Henrietta, Kacy, Nikki, Ryan, and their toddler Wyatt. We pulled up to an underpass where the wide river wicked up columns supporting the highway. Leaning against the remnants of an old bridge was a man in his mid-fifties with a potbelly and yellow sunglasses. He looked like what I imagine my dad would look like if he lived in Montana. I nodded a hello and kept walking. From the footings of the old bridge we had a good view of the river. Two channels dug down with a sandbar in the middle. At the farmer’s market that morning I had purchased an October caddis of spun elk-hair, with two antennae jutting out. I hoped that I would get to use it. I helped my wife get settled on a camping chair with Henrietta and asked again if it was all right that I was fishing. She whipped her wrist and told me, “go, go.” I walked into the water followed by my nephew—who wasn’t wearing waders. I looked back to see Ryan lift his son out of the river. Wyatt’s shoes dripped cloudy water back into the river. 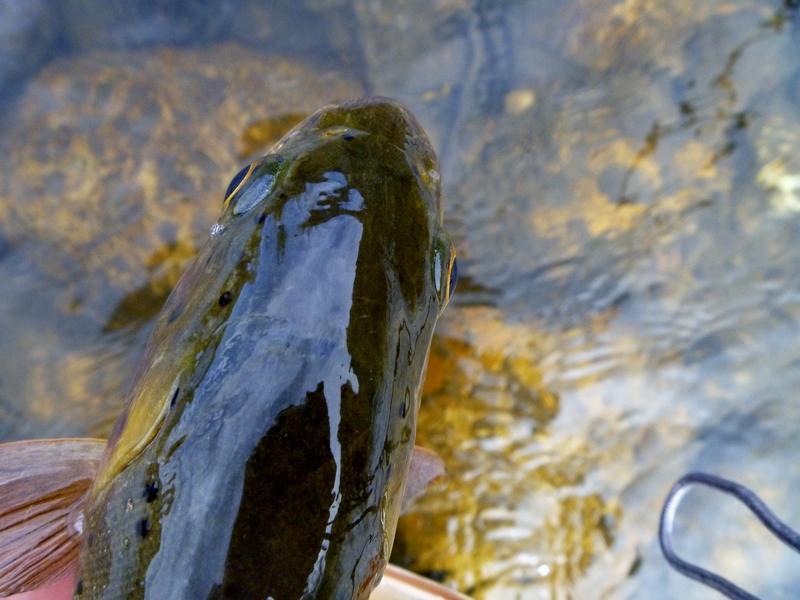 Fish were rising, and in addition to the caddis hatch, there was a mayfly hatch, too. I was surprised to find that I could walk across the river without much trouble. I tried to anchor into the sandbar and fished both sides. Pods of what looked to be 18 inchers rose lazily to gulp from the surface film. Their bodies looked hefty and their dorsal fins often broke the water’s surface. On the shore Kacy and Nikki danced with their babies and took pictures. Ryan tried to show his son how to skip rocks. I started with the farmer’s market elk-hair caddis. I cast right to them. My flies nearly drifted into their snouts. Nothing. I switched to an Adams. Nothing. I heard my leader snap because my casting became desperate and sloppy. I went subsurface (as per the man on the bridge’s advice). I saw one fish bend to let the current take him downstream, following my fly. He rose up. His pectoral fins pushed him closer. His nose nearly touched my fly. But, nothing. I slapped my rod against the water and dug my heels into the sand. For a while I just watched the fish rise. I looked where he pointed and saw the eradicate splashes of a small fish feeding just off the bank and upstream from where the boy threw rocks I took off my vest and half-heartedly cast in. On my second cast I connected with a trailing nymph. When I set the hook the fish skipped across the surface of the water like the stones Ryan threw. I netted the fish quickly and my brother-in-law and nephew came to look at the haul. “Well, technically, yes,” said my brother-in-law. The rainbow lay in my hand. His tail tickled the tips of my fingers and his nose bumped my wrist. He had exaggerated fins and parr marks that measured his length by quarter inches. This, clearly, was a fish that never fought for food in cement runways. “You can touch it,” I said to the boy. He looked at me and his mouth formed a perfect O, but he didn’t say anything. He reached out one finger and slid it across the body of the fish. As the fish swam away, its dorsal fin also broke the surface of the shallow water. Enter your email address to follow this blog and receive notifications of new posts by e-mail. Thanks! Eat Sleep Fish An outstanding UK-based fishing zine with a great variety of content from around the world. 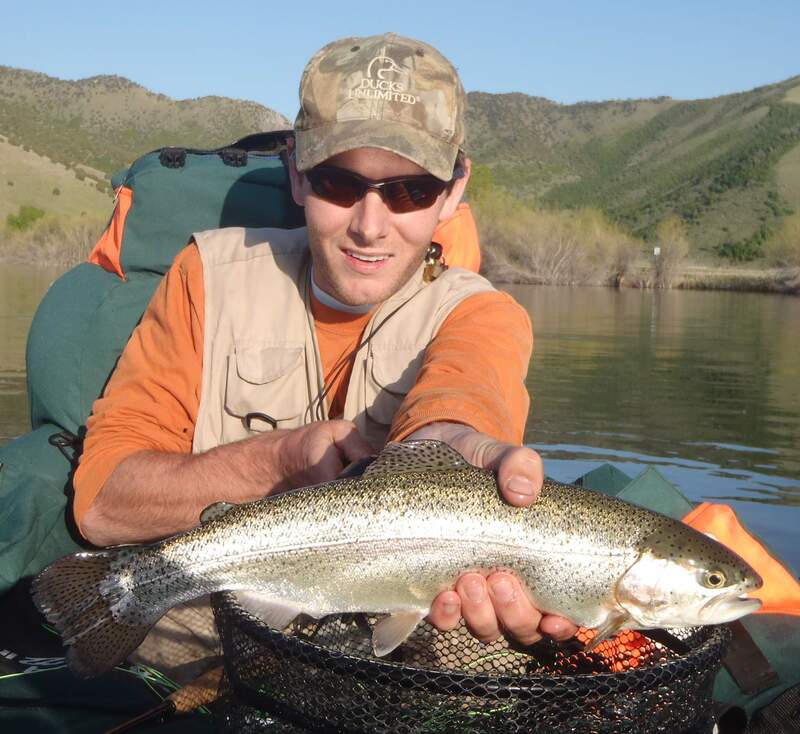 SwittersB & Fly Fishing Self-described “beginner’s fly fishing blog” but much more than that in my opinion. 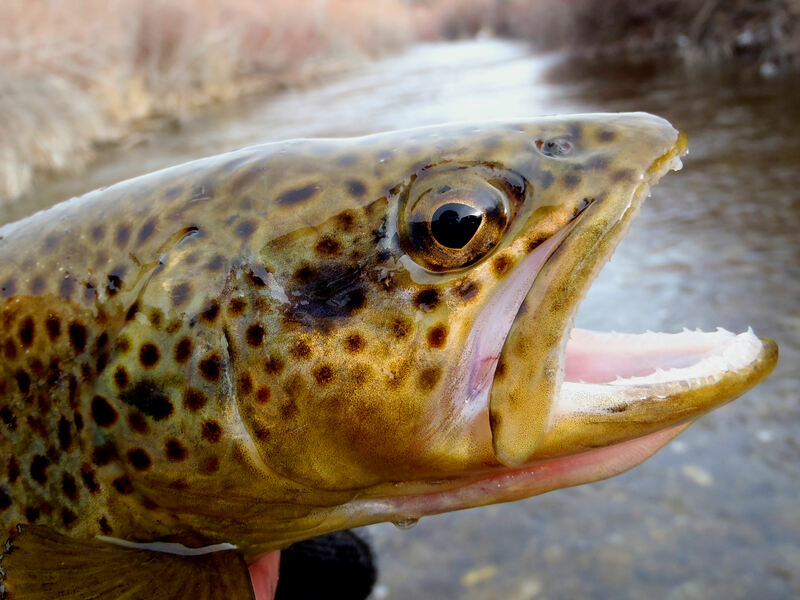 Tenkara Guides Utah-based, Tenkara-certified guide service. Very cool guys. TenkaraUSA TenkaraUSA website with blog, forum, videos, and shopping. 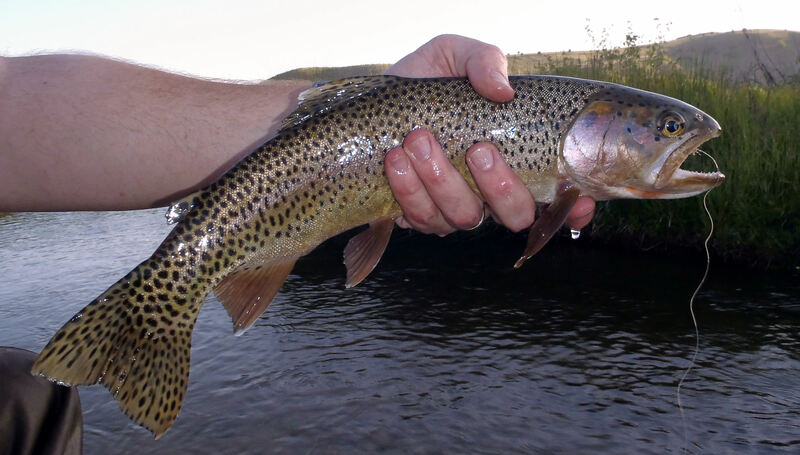 The Fishing Gene Superb fly fishing blog based in Cape Town, South Africa.